Who is getting snow today? 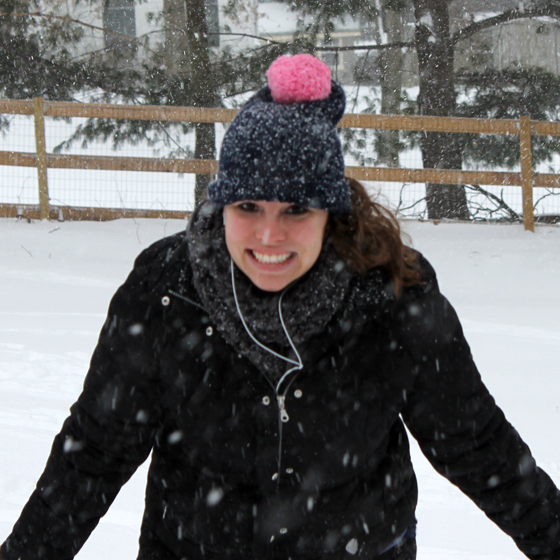 We’ve gotten a bunch of snow — well, a bunch of snow for Maryland. My dog is LOVING IT. He loves being outside and he loves coming back in to lick the snow off his paws before going back out again. 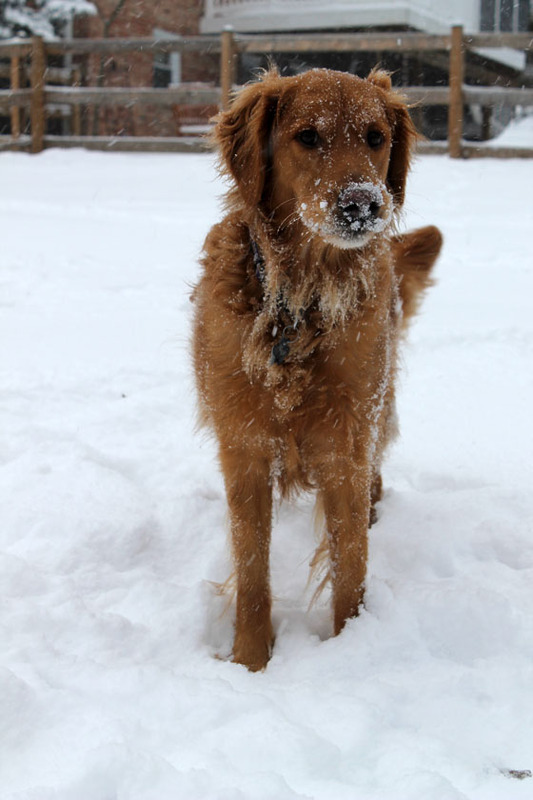 He is addicted to the white stuff… at least the powder on his nose is snow, right? I shoveled the driveway, twice. I figured since I slept through the gym, I should probably do something like exercise today. Plus, I saw that shoveling snow for an hour burns something like 400 calories! Winning! Other than that, the hubs and I took it easy today. 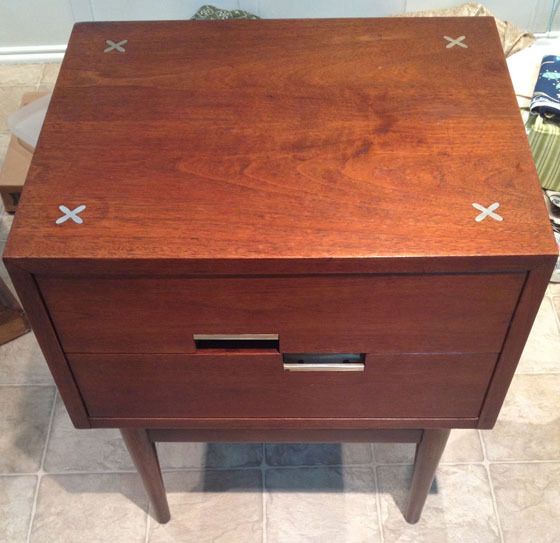 Earlier in the week, I worked on a pair of tables I purchased from a thrift store. I scored a pair of American of Martinsville tables at a local shop that were beat up but had a ton of potential. I wanted to try a new refinishing technique I had heard of, so I quickly snatched them up before anyone else could get their hands on ’em . The tops of the tables had seen better days. Other than that, a piece of gum on the bottom and a spill in a drawer, they were in great shape. The technique I used? 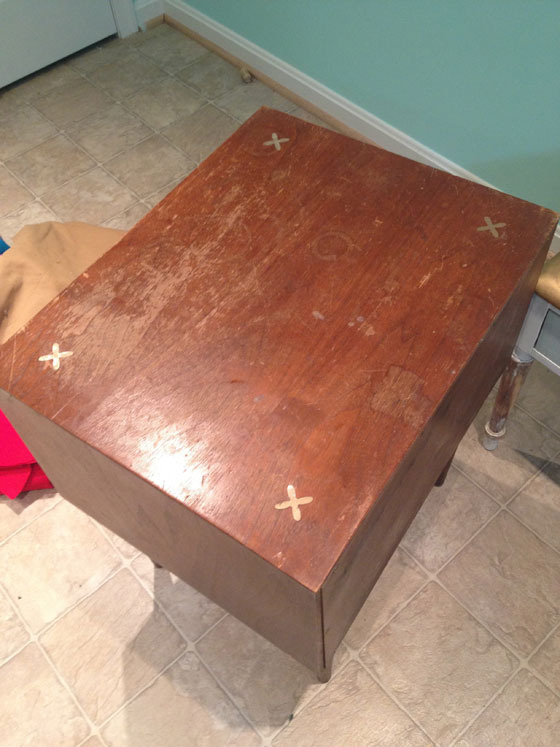 I tried a new product called Howard Restor-A-Finish, which allows you to touch up banged up wood without having to sand and strip the existing stain. I brought one of the drawers with me to Home Depot to pick the finish that best matched my tables. 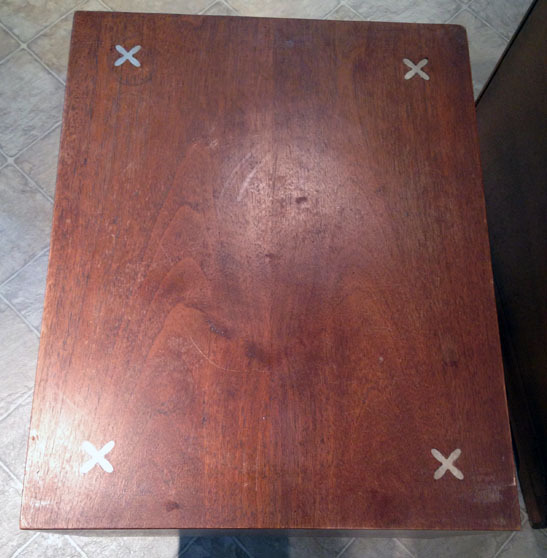 To used the Restor-A-Finish, I wiped down the piece to get the dirt and grime off. Then, I poured a little of the liquid onto a paper towel and generously wiped the product onto the table. Once the whole piece was coated, I went back and wiped off the Restor-A-Finish. Once the finish was completely dry, I went over each piece with another Howard product called Feed-N-Wax. I applied the wax on both pieces and let it soak in for 20 minutes. Again, I went back and wiped off the remaining product. Don’t the tops look SO MUCH BETTER!!??!! The metal Xes, which are found on many American of Martinsville pieces, pop with the rest of the table looking so nicely. I think they turned out beautifully. And that was it! It worked beautifully. The Restor-A-Finish doesn’t work 100% as well as if I’d stripped the whole piece down, but it does restore the original integrity of the piece, which I really liked. Plus, it is way easier and less time consuming for great results. All in all, if I just wanted to touch up a piece, I would definitely use this again. If I wanted to change the look and a feel of a piece, this wouldn’t be the way to go. Funny I found this blog post. 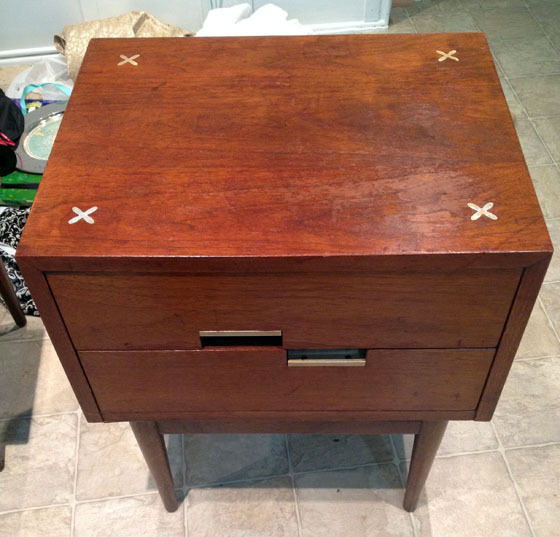 I found the exact side tables and was searching for a way to fix the tops, which are in a similar condition. Could you tell me which color you chose for the refinishing product? I was looking today at the choices and couldn’t determine which one would be best. Do you feel your color choice turned out being the best for the piece? Thank you so much! I used the walnut product! Hope that helps. Yes, thank you! My husband thinks the tables are redder than the walnut, and wants to use mohogany. But we bought walnut. Will give it a try!